Guided visit of the elegant Chateau de Villandry and its unique gardens. Visit of an intimate family-owned Chateau still inhabited. 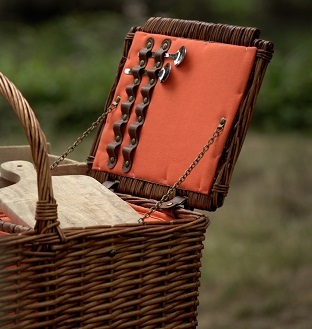 French Art de Vivre experience with a delicious local picnic lunch in outstanding surroundings. Enjoy the famous French Art de Vivre with this delightful morning including the visit of the elegant must-see Chateau de Villandry and its unique gardens. 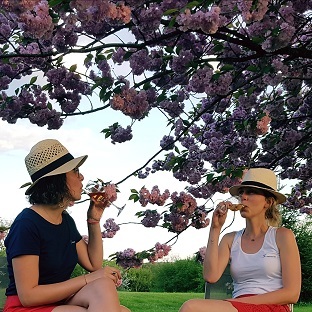 During this tour, you will also experience for real the chateau daily life of a French family who owns and still lives in a genuine chateau dating back to the 16th century... The highlight of your tour will definitely be a restful picnic lunch, served in outsdanding surroundings. An experience you will never forget ! Your passionate guide will stay with you all along sharing many anecdotes that will make you feel part of those royal days. 9.30 am: Meet us in front of the Tourist office in Tours and get on our minivan, off to the Loire Chateaux! During this morning tour, you will visit a stunning chateau of the Loire Valley, as well as a charming genuine family-owned chateau in which you will instantly feel like home! We will start our visit at Chateau de Villandry, a Renaissance jewel ranking high in French heritage. During the tour, you will time-travel from Renaissance to life in France back in the 18th century. Our tour-leader will guide you through all the rooms of the chateau, with plenty of thrilling anecdotes and just one mission: make your day a fun adventure that you will always remember! One of the highlights will be the exploration of Villandry gorgeous formal gardens, a beautiful and delicately-manicured landscape masterpiece. Our local expert will share all his knowledge of this garden à la française, and will show you hidden corners from where you will get the best views of this remarquable site. The ornamental kitchen garden, the Maze, the classical water garden...Don't miss any detail! En route for the next stop! After a short drive, enjoy the amazing sight unfolding in front of you and discover Chateau de L’Islette, a private chateau still inhabited by the French family who inherited this historical monument. Be prepared for a very unusual visit, as your guide will take you to all the rooms of the house, including the most intimate ones like the parent's bedroom, the kids’ corner, the family kitchen and even the bathrooms! If you are lucky, you may even get the chance to meet our charming French hosts and chat about their daily life in this 21st century chateau! A real genuine experience! After the visit, you will share a friendly moment with your guide who will set up for you a lovely lunch, near the bank of the river, in the park of the chateau. Enjoy a Loire wine, perfectly matching a selection of tasty local products... An amazing experience you will never forget! Cheers! 2:00 pm: Back to the Tourist Office in Tours.